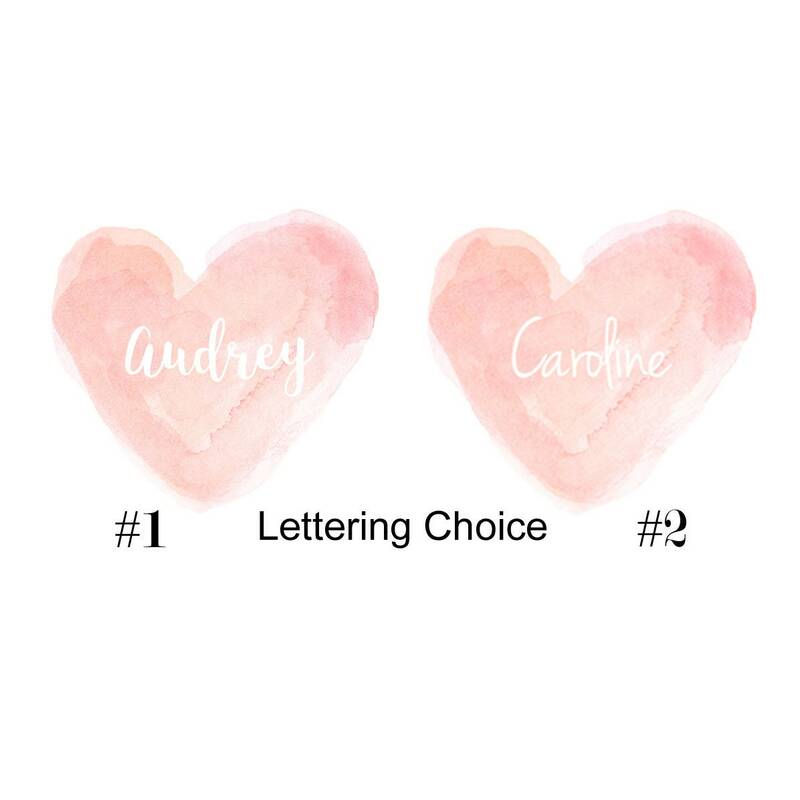 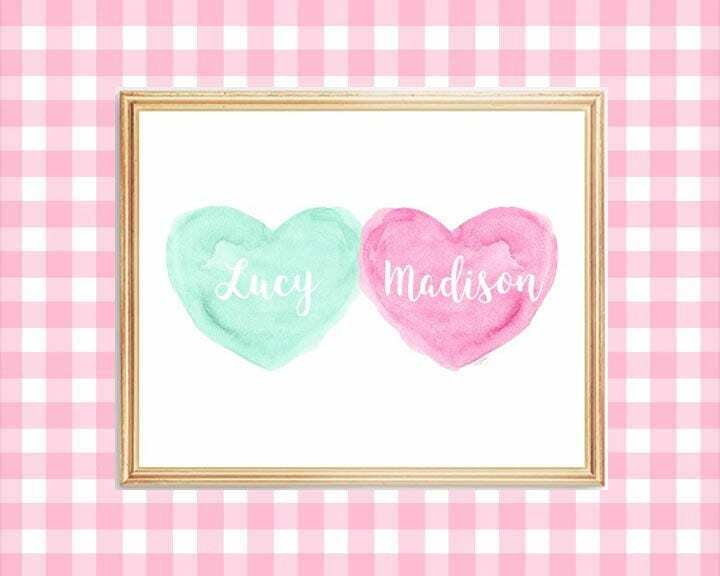 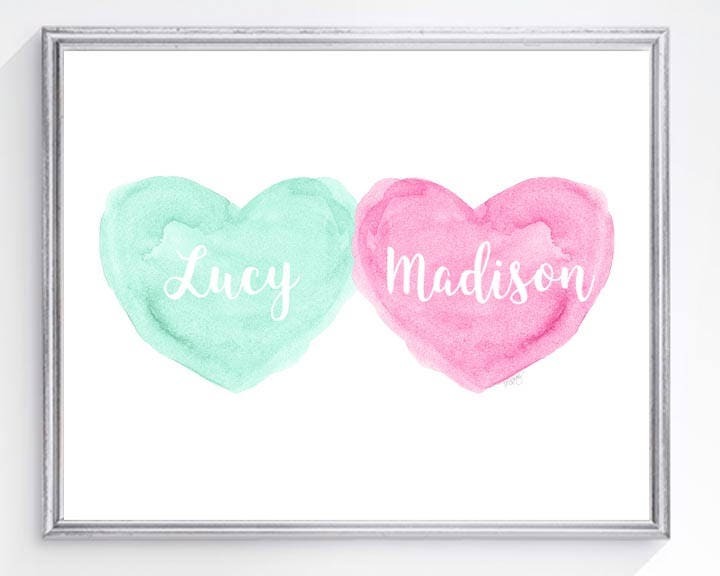 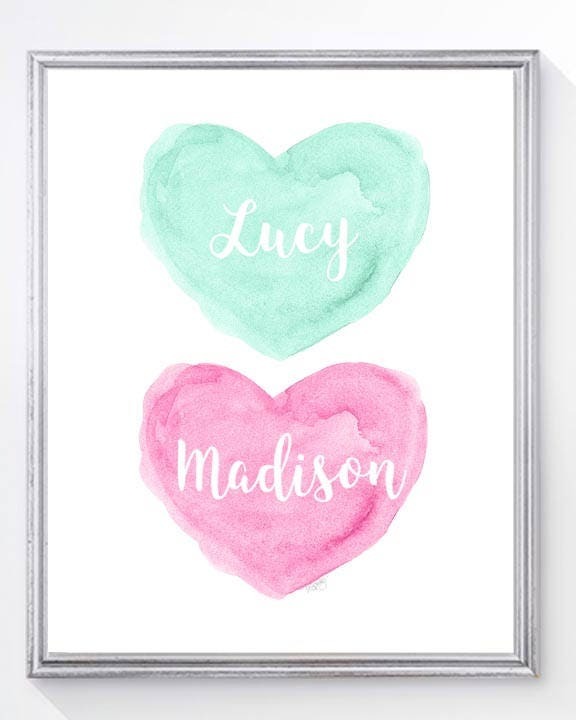 Customize my most popular watercolor hearts with your special names. An 8x10 art print created from my original watercolor painting in bright shades of pink and sea foam green. 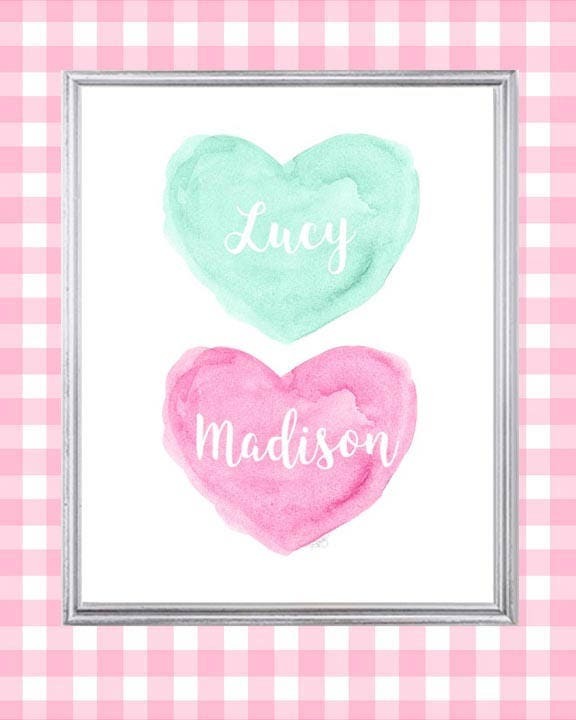 Lovely for a gift welcoming new sisters into the world.